by Haley Goetz In Act 1, Scene 2 of Shakespeare’s Julius Caesar, Brutus tells Caesar to “Beware the Ides of March.” This was his way of letting Caesar know that his day of judgment was drawing near. 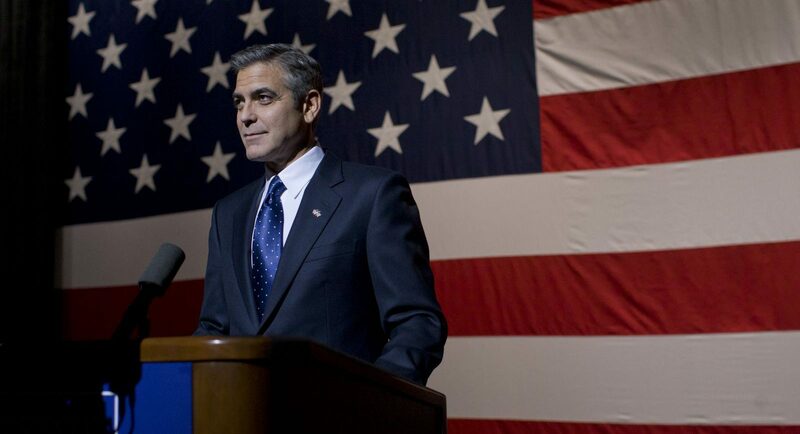 In George Clooney’s political thriller The Ides of March, Brutus is represented in many forms, but it is in the character of Stephen Meyers (Ryan Gosling) that we see him most. Centered around a Democratic primary election between two fictional candidates, The Ides of March is a tale of power games gone awry and a foreboding look into what really goes on behind the scenes of American politics. Meyers is the charming junior campaign manager for Governor Mike Morris (George Clooney). Morris is running against Senator Ted Pullman (Michael Mantell), and in order to get his campaign ahead of Pullman’s he desperately needs to win the Ohio primary. But when Meyers makes a drastic mistake he’s forced to backtrack and re-evaluate his role in the campaign. Following this, the stakes are raised not just for Morris, but also for a specific intern by the name of Molly Stearns (Evan Rachel Wood). What Meyers does next will significantly affect the trajectory of the rest of his life. 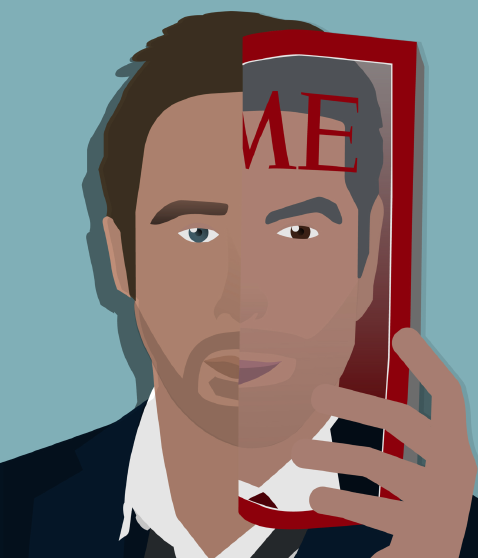 Gosling skillfully portrays the multi-layered Stephen Meyers. We see in him a man who wants to do great things but doesn’t think through all of his decisions. He’s relatively young, and who’s to blame him? Meyers’s character is made even more complex through his various interactions with Stearns, as they both become increasingly more conflicted in their actions as the plot progresses. Wood is great as Stearns, realistically portraying an emotional character who also shows a good sense of restraint at times. Meanwhile, Clooney is completely deadpan as Governor Morris. He only has one facial expression throughout the film, but this works well given Morris’ stern character. Without giving too much away, Morris’ expression at the end of the film proves how unremorseful he really is. The late Philip Seymour Hoffman, who plays Meyers’s superior, Paul Zara, is another important force in the film. He helps guide Meyers through crucial moments at the beginning of the story and later gives warnings of what may come as a result of Meyers’s actions. A prevailing motif in the film is that if one of the candidates were to drop the campaign, they could just as easily work for a consulting firm and make seven figures. Their life would be comfortable but incredibly dull. The decision to stay on board shows just how much they enjoy the thrill of being involved with the campaign. Paul Giamatti also shows up in the role of Pullman’s campaign manager, Tom Duffy (the main opponent of Hoffman’s character). While Duffy initially serves as a messenger to Meyers, he soon becomes a shifty character when he makes Meyers turn against his own campaign without knowing he’s doing it. Clooney’s direction offers effective pacing. One aspect he nails is the construction of his fully realized characters. The Ides of March is based on the 2008 play Farragut North by Beau Willimon, which tells the story of Governor Howard Dean’s run for president in 2004. Clooney, along with Grant Heslov and Willimon, pen a script with all of the perfect elements: great characters, a riveting plot, and enough twists and turns to keep the audience guessing. Phedon Papamichael, the film’s cinematographer, uses many close-ups and tracking shots to highlight the characters and their various predicaments. The lighting scheme is also visually pleasing. One scene in particular that showcases this involves a backstage conversation between Zara and Meyers. After Meyers pisses Zara off, causing him to walk away, he’s left standing underneath a giant American flag. While Meyers is shrouded in shadows, the colors of the American flag are illuminated behind him. It’s ironic, albeit in a symbolic way. The Ides of March isn’t just for political enthusiasts. A layered plot, solid ensemble and visually engaging direction ensures that the film will appeal to anyone who just prefers good old-fashioned thrills over anything else. Tags: Election Series 2016, Haley Goetz. Bookmark the permalink.